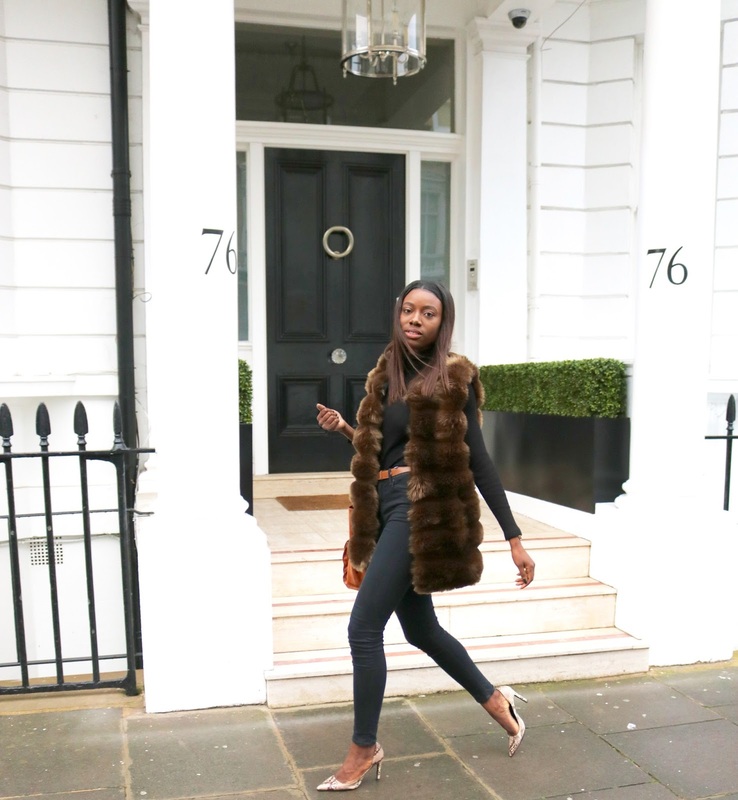 My first style post for the year featuring my new Faux fur gilet from Shein.com that I have been confidently strutting about in the London of streets. It has been a welcome addition to my kloset given the low temperatures in London off late. I will admit that it is not the best at insulating my arms but it does a great job of keeping my torso warm that it compensates for my 'naked' arms plush it looks great on so that's always an excuse to wear it even if it doesn't make sense. The Shein faux fur vest is in fact green but for reasons I cannot quite explain it appears to be off a brown shade in the pictures taken. 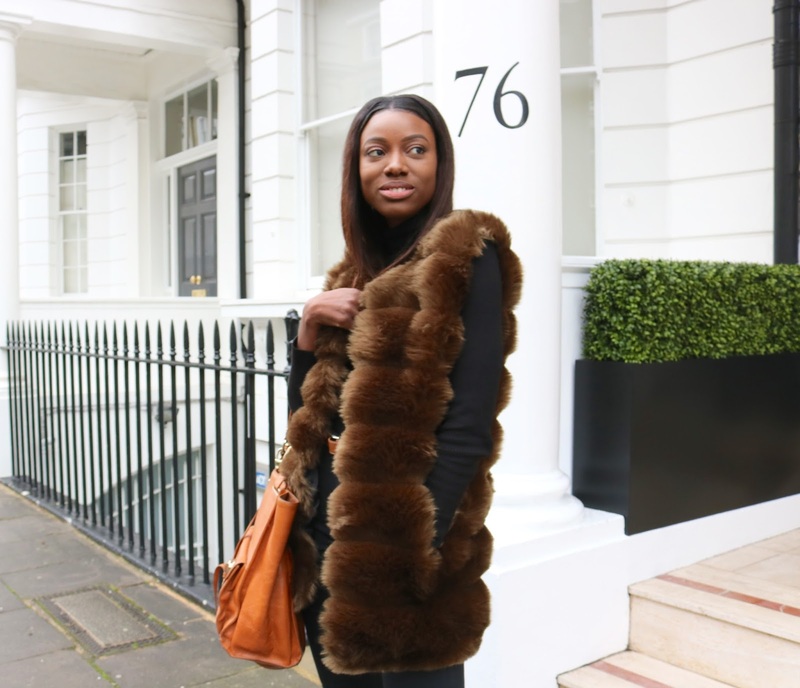 There are tiny hooks aligned on the inside that would allow me to seal the opening and cocoon myself inside the faux fur vest but I opted to leave it bare on this occasion. I must also add that the fur does feel pretty soft for a faux fur creation. I sometimes find myself stroking the fur when out because it's that soft and in turn I have strangers give me the odd stare as though I am stroking my own skin and not the fur. 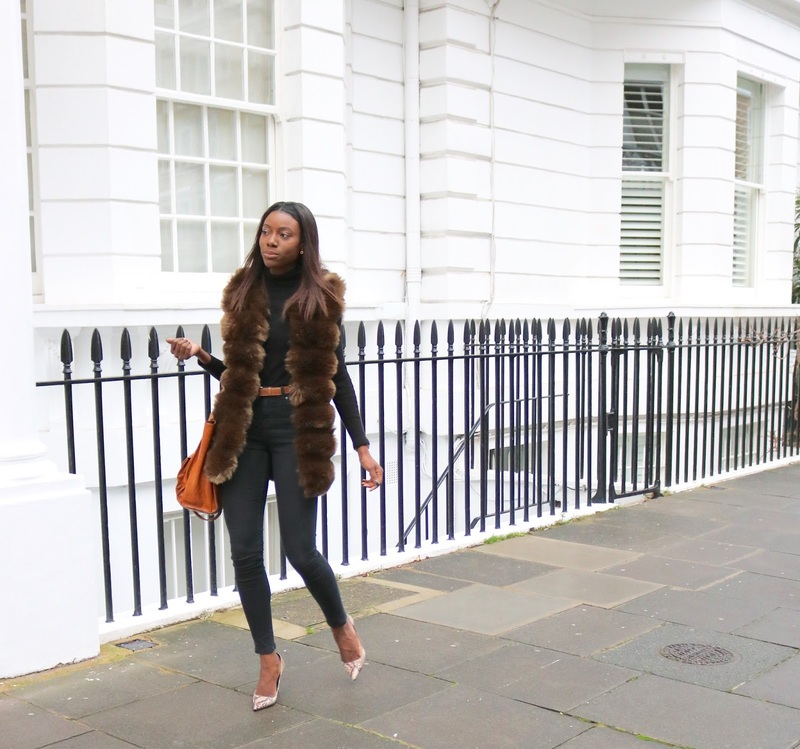 All in all the faux fur vest has been a great addition to my kloset. 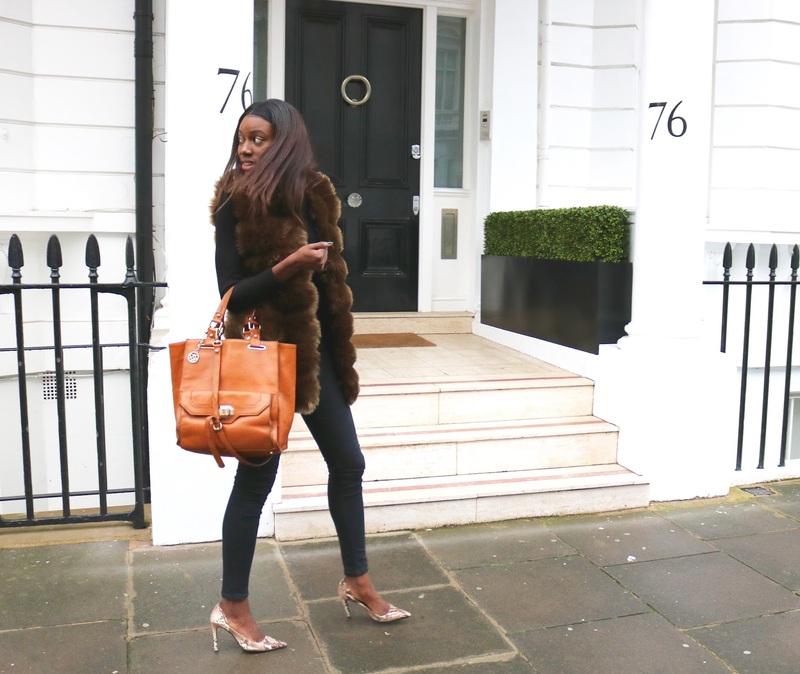 The faux fur doesn't shed like a dog meaning I can quite comfortably wear it out and about without any fear of leaving a ball of fur trailing behind me as I strut my way down the streets. The faux fur is available in two other colour ways over on Shein.com. 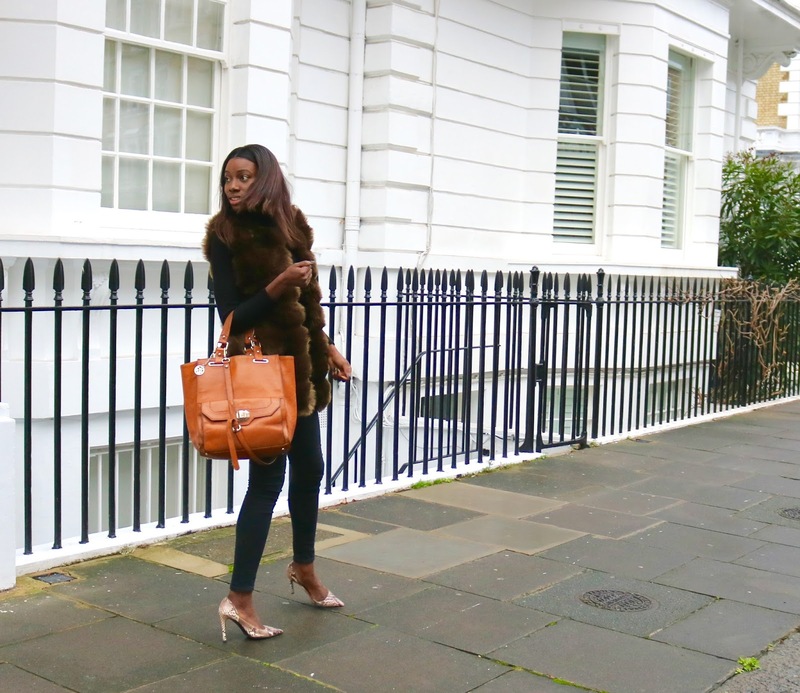 I was a little unsure about the vest when i first got my hands on it but I now love the green faux fur vest so much that I am almost tempted to go after the grey version as well so don't be surprised if you happen to stumble across another faux fur vest over here on the blog.